The St. Peregrine Ministry of Compassion. Our brother, Servite friar, and Patron Saint of those suffering from cancer and other serious illness. More information can be found on the St. Peregrine pages of this website. 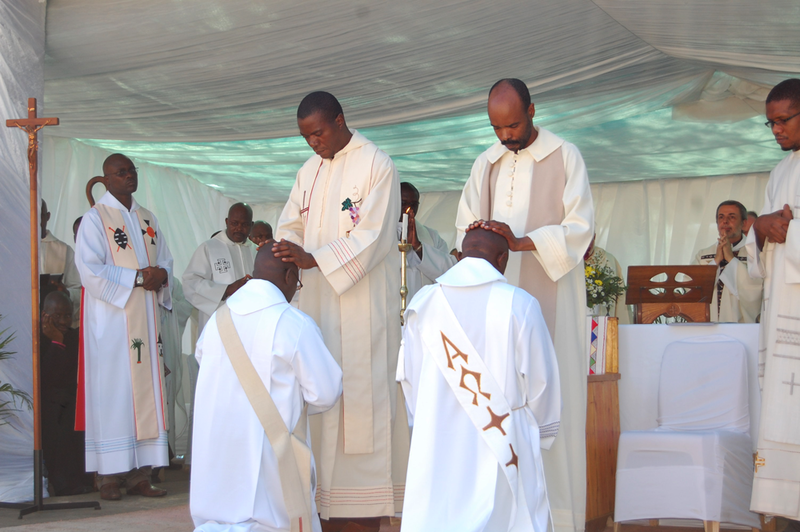 The Friar Servants of Mary, United States of America Province has supported missionary activity in Africa since 1948. The present Prefecture of Ingwavuma consists of the three large magisterial districts in the northeast corner of the Republic of South Africa; they are: Ingwavuma, Ubombo, and Hlabisa. 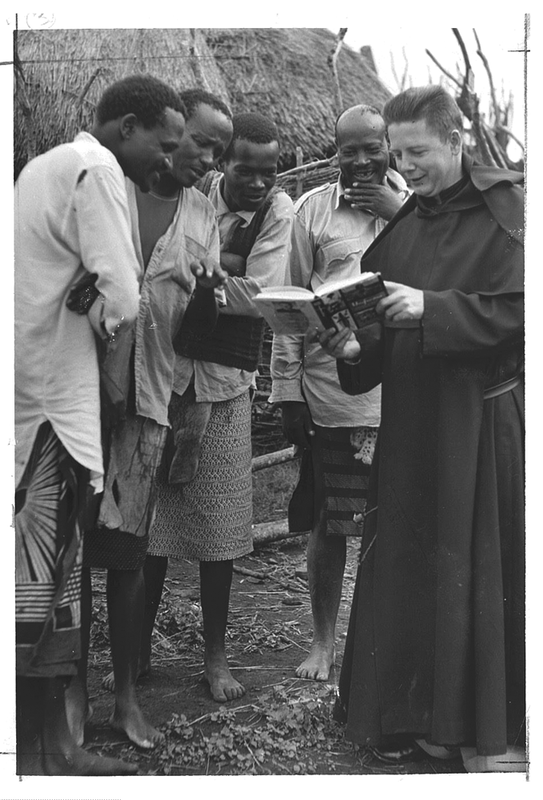 After the Second World War, Bishop Barneschi of Swaziland asked for and got three American Servites to help him; they were: Fr. Edwin Kinch, Fr. Michael Delahanty and Brother Tim Culhane. In June of 1947, these three arrived in Swaziland and the following year moved to Ingwavuma to found a mission station there. Two more American Servites were sent to Swaziland in 1948, and they too moved to Ingwavuma during 1949. In 1950 a new mission station was started at Maputa, about 65 miles east of Ingwavuma, on the Indian Ocean Coast. During the following year, the Hlabisa District was given by the Bishop of Eshowe to the care of the American Servites and a mission was started there. The image of Mary at the foot of the cross has long been an inspiration to people who want to be closer to Jesus. In order to increase devotion to Our Lady of Sorrows, the Servite Order has established societies known as confraternities. The Servite confraternity’s roots reach back to the first century of the Order’s existence when groups of the faithful were living near the first communities of Friar Servants of Mary. Wanting to share the Order’s spirit, they formed various types of Marian associations. Pope Innocent X officially designated the Confraternity of Our Lady of Sorrows in 1645. Many people wish to belong to the Servite confraternity, but they do not live in an area where it has been officially established, or they are unable to attend the monthly prayer hours. 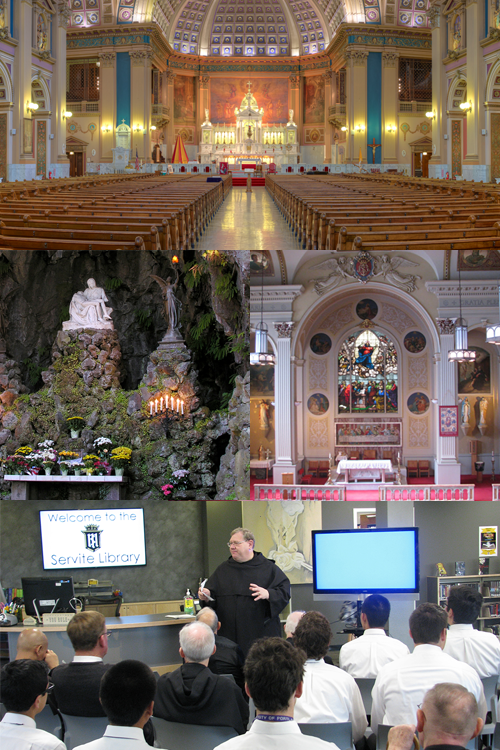 The Confraternity of Our Lady of Sorrows, established for over a hundred years at the Basilica of Our Lady of Sorrows in Chicago, has been reorganized so that it might meet the needs of such people. The Secular Order of the Servants of Mary (Servite Secular Order) is a Catholic organization of lay men and women plus diocesan priests living their Christian faith in the context of the world. The Secular Servite vocation is a special calling within the Church. The vocation finds its root in baptismal consecration and with its acceptance, the Secular Servites commit themselves to bring to fulfillment the evangelical commandment to love. They strive toward holiness according to the spirituality of the Servite Order, following the directives of their Rule of Life.